Over the last 30 years, retention and detention ponds and vaults have been required for all new developments being built. Now simply having a detention pond or vault isn’t enough. Water quality devices, infiltration chambers and fields, water treatment features and rain water collection systems are being required as well. 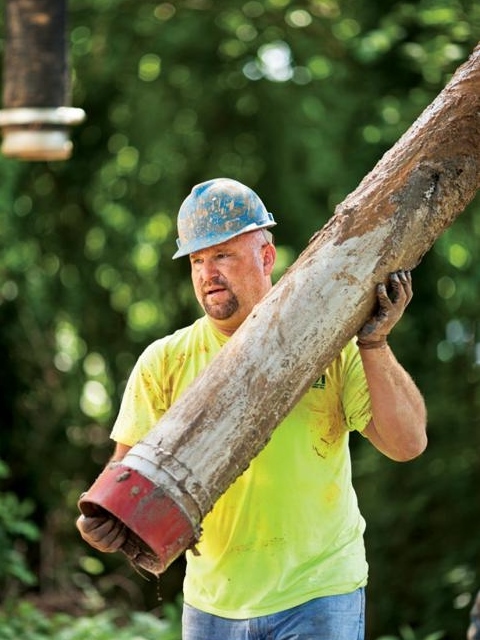 All of these stormwater systems need to be maintained. 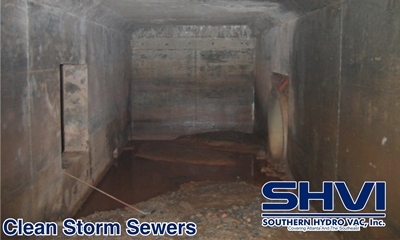 Southern HydroVac and Hydro Excavation trucks are proven, economical and safe solutions to cleaning and maintaining these stormwater systems. 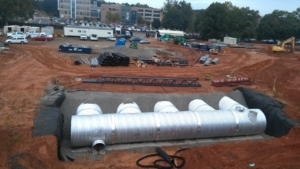 Southern HydroVac provides stormwater detention maintenance and cleaning services to residential, commercial and industrial developments across the Atlanta Metro area and Southeast Region. 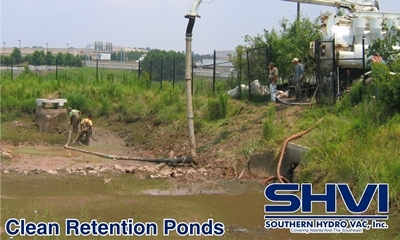 There is no easy way to clean a retention pond or detention vault. Southern HydroVac offers a safe, quick and efficient way to get stormwater ponds, vaults and water quality devices back in compliance. 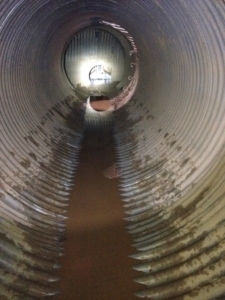 Our top-quality hydro excavation equipment and our experienced personnel, who are certified for “confined space”, will get your job done safely and efficiently regardless of size or type of job.. Contact us today to learn more about our detention maintenance and cleaning services.